Financials are in a funk. The sector has tumbled 9 percent over the past year, by far the worst-performing S&P 500 sector over that stretch. But there is one name in the group that is setting up for a breakout, said Todd Gordon, founder of TradingAnalysis.com. 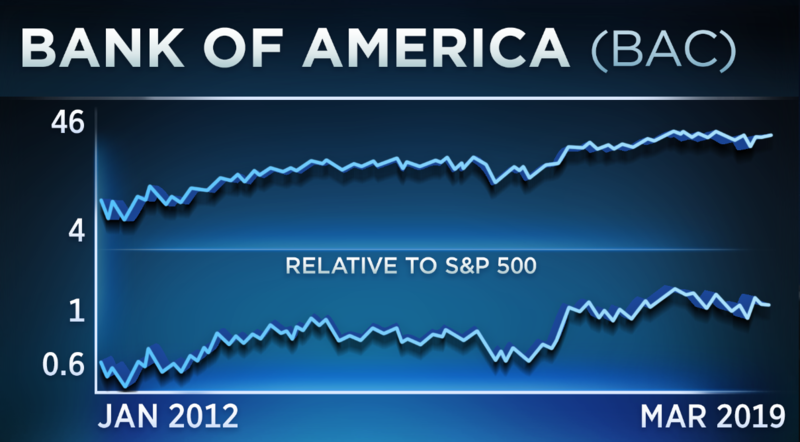 "One financial that I do like is Bank of America," Gordon said Wednesday on CNBC's "Trading Nation." "Obviously you have a very nice uptrend here, you've broken resistance, we've come back to test support." "There is a nice kind of level right here at about the $30 region," Gordon said. "There's a lot of open interest here. 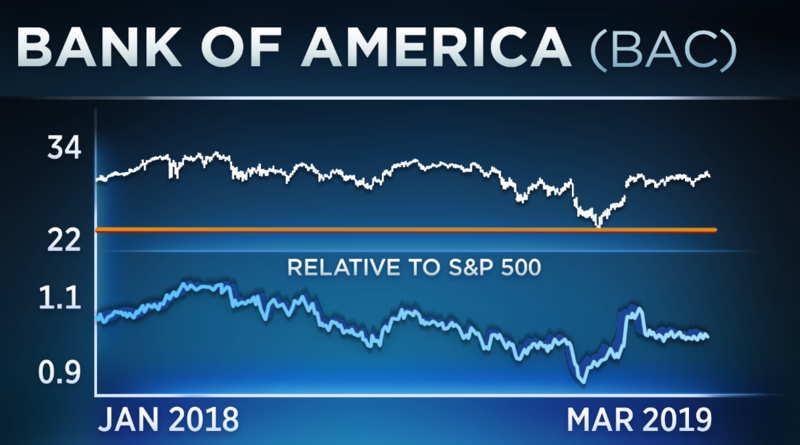 If we can sometimes get a push – and help from the broader market would certainly help – there's sure to be a lot of stop-loss buying going off in Bank of America. I will add to my holding in Bank despite the financials weakness in the S&P so this is one strong name that I do like." Bank of America needs to rally around 5 percent to push through $30. The stock has not traded above that level since October. The sector is a long-term buy even if it continues to underperform in the short term, said Michael Bapis, managing director of Vios Advisors at Rockefeller Capital Management. "Banks are stronger than ever from a balance sheet standpoint, from a risk standpoint, they're taking less risk than they ever have, and from a cash standpoint. Then you throw in earnings, positive earnings and low PEs for many of the banks," Bapis said Wednesday on "Trading Nation." The XLF financial ETF trades at below 12 times forward earnings, while the S&P 500 trades at a 16.5 times multiple. "This is just a forgotten sector that people have put aside and it is going to snap back at some point in the future," said Bapis. "I'm positive on the space long term. I'm very surprised that it has taken this long but if we're taking a long-term perspective for our clients, I'm fine waiting 18 months for it to bounce back." The XLF ETF has risen 10 percent this year, below the S&P 500's 13 percent advance. Disclosure: Todd Gordon owns shares of Bank of America.